I'll say it right now, Thrust was an incredibly fun game for such a low budget title. It was published by Firebird Software Ltd and released in 1986 and for what it didn't have in graphics, it excelled in the fun factor. Thrust came on many different systems including the Atari 2600, Amstrad CPC, Atari 8-bit, Atari ST, BBC Micro, Commodore 16, Plus/4, Commodore 64, Electron, Vectrex, and ZX Spectrum. I myself spent many hours of enjoyment plus frustration on my Amstrad CPC playing this game. The simple task of pulling out Klystron Pods, out and into space ended up with either, your ship pulling the pod into the side of a cave, or you smashing your ship into another object. But it had far more to it than that! Thrust had realistic physics and inertia-based movement, if you thrust your ship one way it would pull the pod another. Think of you driving while pulling a car by a rope, it's the same kind of thing. You also had the ability in some situations to tractor in Fuel, especially if the level was a large one, as if you run out of fuel, you fall. You also had a gun which can blow up power stations or shoot at defensive weapons which was to stop you from taking their Pods. The entire game was viewed from the side, with the graphics drawn in vectors but as I said, the gameplay was damn fine! So let's take a look at the Remakes! 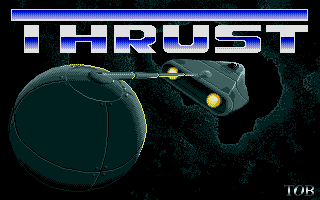 Thrust Deluxe is a remake of the classic C64 game Thrust. 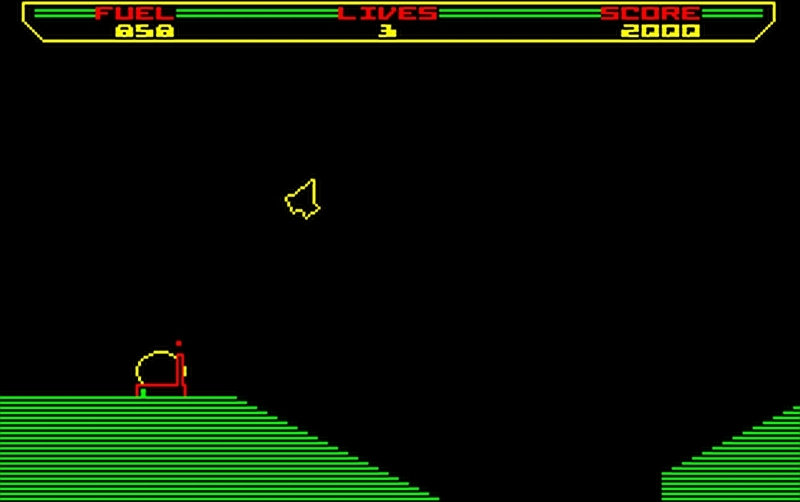 Thrust itself was based upon the Atari arcade game Gravitar. 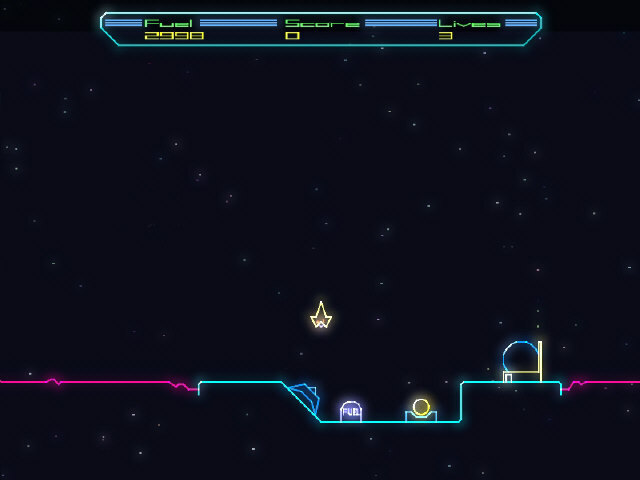 In Thrust you must guide your spaceship through increasingly difficult caves to collect the valuable Klystron Pods. After locating the pod, you must attach it to your ship and make your way up again, all the time battling the planet's gravity and the Empire's defensive systems, while keeping track of your fuel supply. 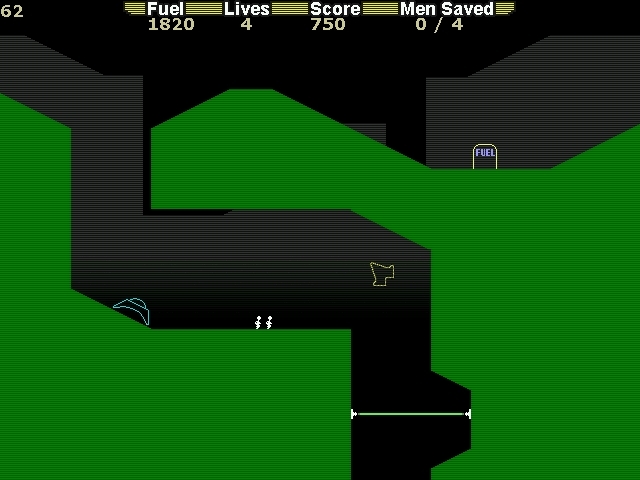 Once you have beaten all six levels, the game restarts but adds the extra challenge of reverse gravity and invisible levels. Thrust Deluxe is the original Thrust in all its glory, but with more levels and more features. Here are some of the features! Defeat the Empire, weaken their defenses, steal their Klystron pods! It’s here. If you like your thrusting then here is the game to play. 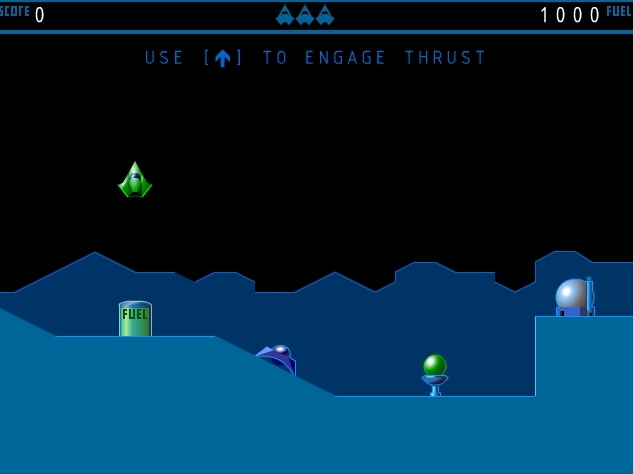 This game features the old Classic levels, remade Deluxe levels and two Xtreme levels. The game engine is from Grid Assault, so expect purty colors and explosions. Play Thrust online in any browser, features updated graphic! Linux, SunOS 4.1, Solaris 2.4/2.5, HP-UX 10.20, Irix 4.0.5, OSF1 4.0, AIX 4.2, OpenBSD 2.0 and Windows. Very likely others as well. A port is available for the Amiga. See below for details. Game engine (scrolling, shooting, explosions, shield, etc). Reversed gravity when the final level is completed. Scoring and a high-score list. The sliding doors operated by the small buttons. Demo if the game isn't touched for a while. Support for GGI (the 8 bpp limitation finally gone through the use of display-palemu). Support for X. 8 bpp PseudoColor required. MIT shared memory used if found. Bucket load full of particle effects. Hope you enjoyed another Games I remember with a remake, I'll be featuring more remake games as always in the next few months. If you have any remake suggestions, send us an email!